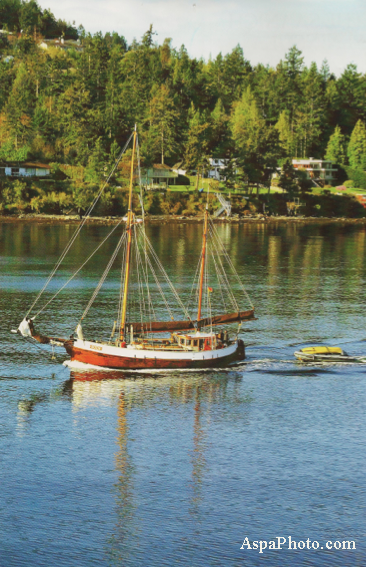 Duen Sailing Adventures offers quality marine-based training to a number of students involved in educational eco-tourism or biology programs from colleges in the area. We often select and train our crew from this reliable source. We make sure the crew brings a wealth of knowledge to each trip. They are chosen because they are skillful individuals having common interests. The captain, the crew, and expert naturalists or native interpreters, love to share their knowledge of natural and cultural history. Since interpretation of the environment is a focus of our trips, they offer informative walks in intertidal zones, forest "under-canopies" and sub-alpine areas, exploring in detail the life we encounter along the way. Their primary concern is the guest safety while participating in the expedition. The captain is Transport Canada certified and trained in marine emergency duties. The crew and guides are also trained in first aid techniques. It is their job to make decisions that ensure your safety and comfort while maximizing your adventure experience. Our cook/chef is skillful in the preparation of well balanced, wholesome, tasty meals, and can also accommodate special dietary restrictions. 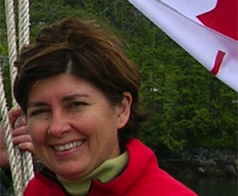 Manon is the Managing Director and has years of experience with marine adventure trips. She runs the booking centre and office. Manon is enthusiastic and very knowledgeable about the regions that we visit and is able to answer any questions that you may have before departure. She is a real nature lover and is always very interested to hear how the trip went, so feel free to give her a call! 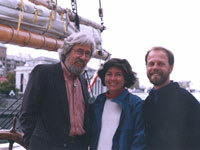 Michael is the President and a captain and has been dedicated to environmental education and the seafaring life for 35 years. As captain, his safety record as a mariner entrusted with lives at sea is outstanding. 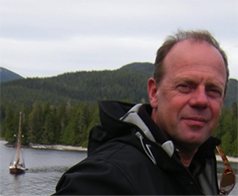 His wide-ranging experience includes participating in the development of Outward Bound Canada's first marine challenge program in British Columbia, and as a faculty member, managing Lester B. Pearson United World College Coastwatch program for 7 years. 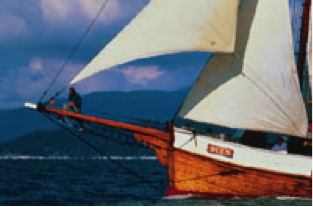 He has successfully sailed thousands of miles offshore while navigating to the anchorage of over 30 countries. Michael's passion for the sea, dedication to service, and commitment to the environment has earned him a solid reputation as a mariner with integrity. He has a relaxed and easy going nature and loves to share his experience and understanding of life, sail, and The Natural Coast with those around him. Michael likes to welcome guests onboard as though they were arriving home, and aims to sees them on their way as friends.